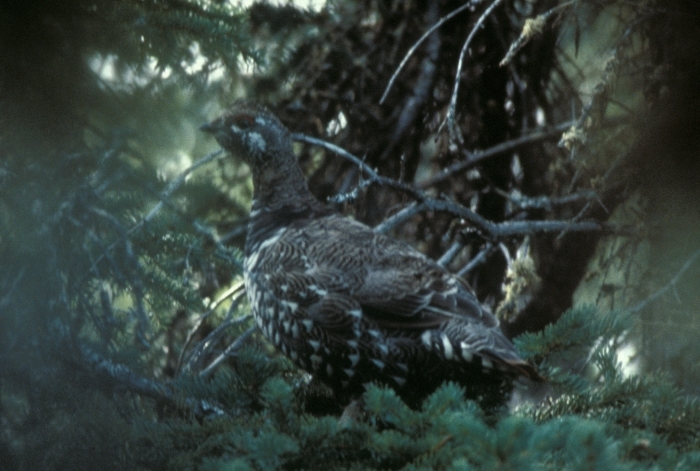 Bosanko saw a male Spruce Grouse near the laboratory on April 15 and 16, 1983. Ruffed Grouse vary greatly in abundance at Cedar Creek according to their population cycle. In low years they are very scarce, while in years of high population they can be abundant. They are found in most of the wooded habitat at Cedar Creek. Ruffed Grouse numbers have been low at Cedar Creek in the late 1980s and 1990's. Howitz last found a brood in 1986.